OllieOllieToxinFree (OOTF) product review policy: I accept free samples from brands I deem promising (with regard to ingredients, price point and philosophy). I agree to try the products and provide my readers with an honest opinion of them. If I do not like the products, I follow the Golden Rule (say nothing if nothing nice to say) but do report back to the brand contact with my concerns/dislikes. I post reviews of products I like, so my readers learn about new, OOTF-friendly products. Some time ago, I was contacted by the marketing director at Made From Earth to see if I would review some sample products. (How flattering!) Soon after, I received a package with lots of samples, so many that I have still not tried them all. What Stergios didn't know—and I didn't think to mention—is that I have a pretty pared down beauty routine. So, while I'm sure I'll eventually get to test all of them, for now I'll just tell you about the ones I tried, all very good products. My favorite items were the Rosehip & Hibiscus Facial Serum (which is currently half off at just $12.50!) and the Citrus Fresh Lip Balm. I also liked the the Vitamin E & Citrus Body Gel and the pH Equilibrant Moisturizer. Fragrance is something I find challenging with natural concoctions. I like good-smelling products, but most true eco-brands avoid strong scents, even naturally derived ones, because some people have reactions to essential oils. But when potions have no smell or an odor that's not at least a tinge floral/fruity/musky, I personally find that unappealing. Made From Earth seems to have found the right balance with a barely there nontoxic fragrance for facial products and a light natural scent in the other products I tried. I should also note that testing beauty products for me is always a crap shoot. My skin is highly sensitive and breaks into little dry crusty patches for no apparent reason—usually related to trying a new product or being in a new climate. I have used these products long enough to say unequivocally that my sensitive skin liked Made From Earth. My friend, Todra, at The Healthy Beauty Project, is a fan of Made From Earth. See her inside scoop on the company and the products here. She also tells me that they reformulate their products constantly, and they are very responsive to constructive feedback. The Rosehip & Hibiscus Facial Serum has a great consistency, emollient but not greasy, and overall very lightweight. My skin is normal to dry, especially in winter, but it’s not generally amenable to heavy moisturizers, even at night. I love to use serums all over, morning and night, though I’m sure cosmetologists would say it’s not enough moisture for my skin type. I believe that moisture also comes from the inside—be hydrated and your skin will show it. But, I digress. The Citrus Fresh Lip Balm was smooth and deliciously scented. It's made with beeswax, essential oils, and other natural goodness, and at $3.99, is quite affordable. Made From Earth also offers Mocha, Vanilla, Blueberry, Spearmint and a Chocolate/Vanilla combo pack. The Vitamin E & Citrus Body Gel was not super sudsy, but most eco-friendly soaps are not, because they are sulfate-free. I found the scent to be refreshing, the texture was typical of a bath gel and I felt clean after using it. That's the point, right? The pH Equilibrant Moisturizer was a nice addition to my nighttime routine, after the serum. It's light and non-greasy but definitely not as light as the serum. It absorbed into my skin easily and, it's worth mentioning again, did not cause any freakouts. I would like it to have a teeny tiny little bit more natural fragrance, but it wasn't a deal-breaker for me. One last product I didn't mention earlier, but did try, is their Grapefruit Glycolic Scrub. An interesting texture, its gel base is sprinkled with soft little scrubbing bits. It didn't feel harsh, but typically, glycolic-type products are not categorized as nontoxic. It's not in the Cosmetics Database, so its toxicity is unclear to me. I'd guess that it's "safer" than drugstore and probably department store brands, but I would use it sparingly, just for a little extra facial rejuvenation. 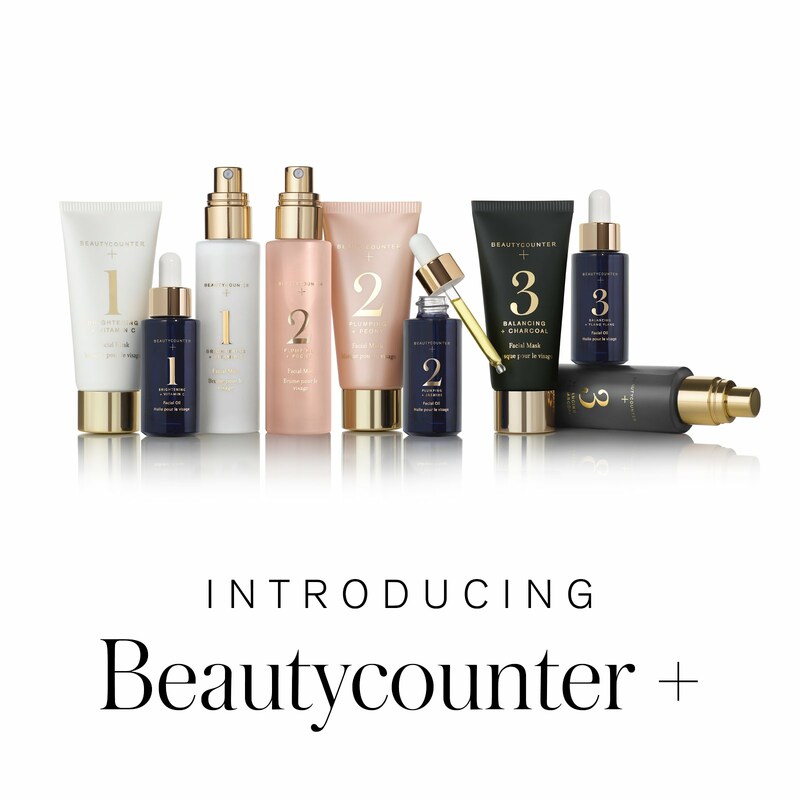 All in all, this is a well-priced, low-hype, U.S.-made line of products with carefully selected ingredients that you'll likely really enjoy using. Thanks to the team at Made From Earth for introducing me to your line. Sometimes, I like to give props to companies who are taking even the smallest initiative to be eco-friendly. I was surprised to find that Karns, a local grocery chain, had different register paper so the receipt came out half the size of the monstrous receipts I get at Giant Foods, simply by printing on both sides of the paper. It's a little confusing the first time you look at your receipt; it looks incomplete. But, lo and behold, I flipped it over and there my tally continued, with no space-wasting frills. That is a great way to cut paper use in half. Kudos to Karns. 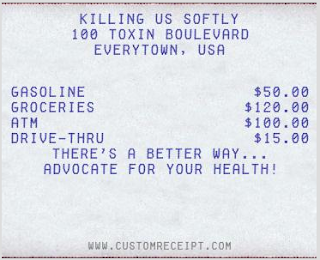 This post would be incomplete if I didn't also mention the growing concern about all these thermal receipts we collect -- the presence of BPA (Bisphenol-A) on them. Handle BPA-laden thermal receipts with care—or not at all! Just today, I saw an article (which of course I can't find now) on this, and when I searched, came across this one. You can Google it yourself; these articles date back to 2000, but it's definitely attracting more media attention. As the Fox story says, some stores are already using BPA-free paper: Trader Joe’s, Home Depot, Albertson’s, Ace Hardware, Wal-Mart, Sears and Costco. The super creepy thing about BPA is that you can't wash it off your hands. Anything that it touches, it attaches to, like paper money, your clothes, your skin. Ick. So what should you do with all these receipts? Recycle them, right? No, says the Washington Toxics Coalition. Read this short post on how to dispose of them and how to avoid BPA-laden receipts in the first place.